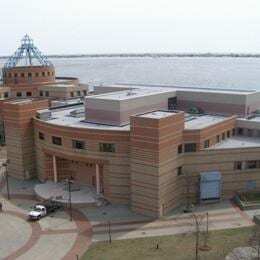 The Marine Academic Center at Kingsborough College is a 2-story, 65,000-s.f. 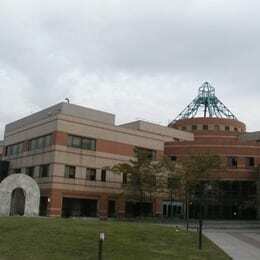 building that contains classrooms and a performing arts center. 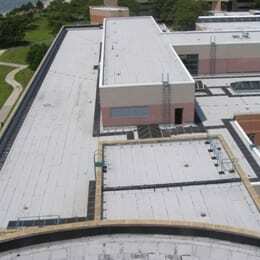 The existing ballasted EPDM roof system was showing signs of deterioration, and various parts were removed and replaced with a new 2-ply SBS over tapered insulation system. SUPERSTRUCTURES performed investigation services including infrared investigation, probes, and leak surveys for 21 roofs. 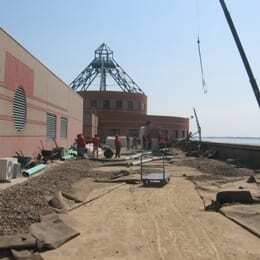 The firm also provided design and construction administration services.